Social media networking and marketing efforts by brands and businesses are increasingly focusing on multiple social networking sites. Potential customers may exist on one or more of those networks, and brands cannot focus on any single network ignoring others. In such cases, a customer visiting the brand's website from one social networking site may not have seen content posted by the brand on other networks. Brands and businesses can use social hubs on their websites to showcase curated and aggregated content from multiple publishing sites into a single place. This enables brand's curated social content to support its storytelling, content marketing and also helps in showcasing endorsements from fans as social proof. A social media aggregation tool can help create your social media hub. 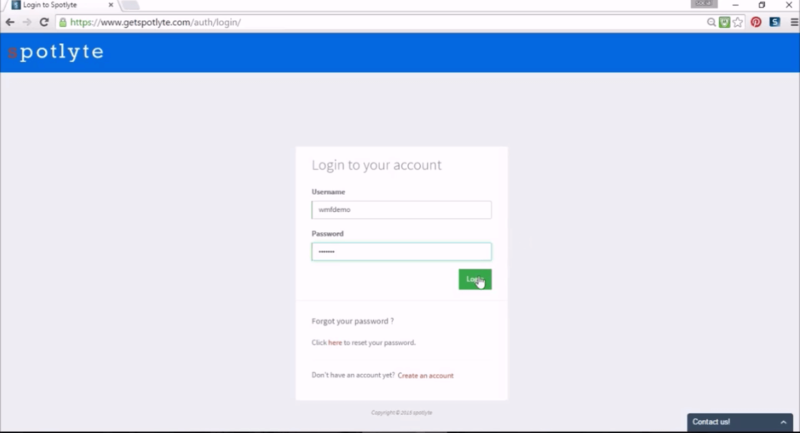 Below we see an example for creating a social hub on a website using a hashtag. 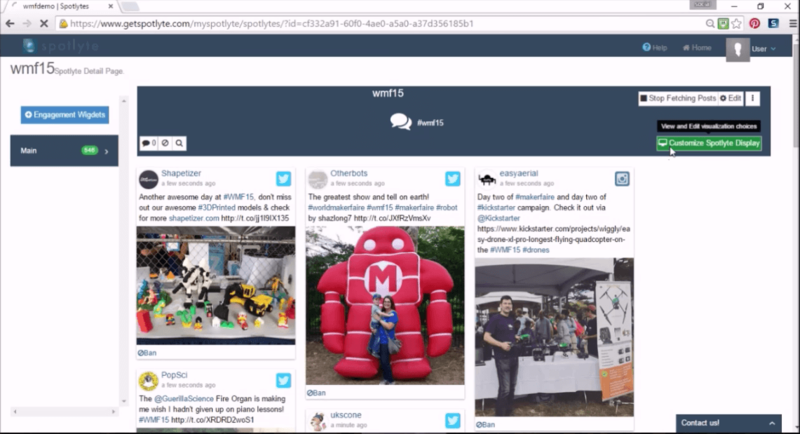 In this example, we use Spotlyte to create a social hub on a website using a hashtag. So we first login to Spotlyte dashboard. 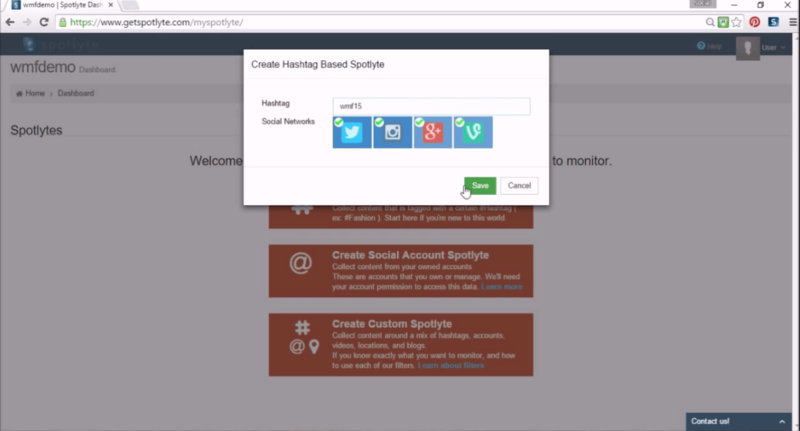 Spotlyte supports creating social hub using hashtags, social profiles from Twitter, Instagram and Facebook. It also supports custom creation, where it allows geo location filters, rss blog, Facebook page, Pinterest, YouTube and many other filters to chose from. For this example, we select hashtag based Spotlyte creation. We enter an example hashtag and click on save to finish creating the Spotlyte. 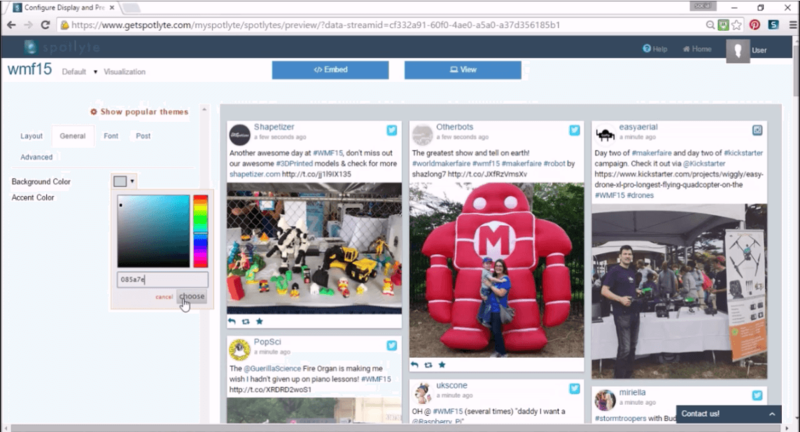 After our newly created Spotlyte fetches initial posts from various social networks, we select customize display button to open display editor. Display editor shows popular themes, and it also gives an option see all display options. We select grid theme and change background color to match our website theme. Our social wall using Spotlyte is ready. We now copy the social wall widget code from Spotlyte. Use the social wall widget html code from step 6 on a webpage to finish creating social hub on a website. 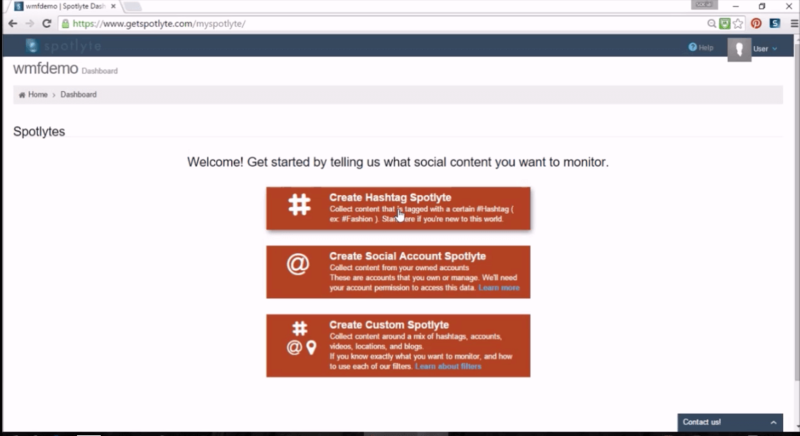 Let us know what type of social media wall features you want to see on Spotlyte. Follow us on Twitter at @getspotlyte for all of our latest news and developments, and on tips for how you can better engage your customers and audience.